At Judith Sargent Photography our expert digital artist will transform your old prints into a beautiful finished photograph. 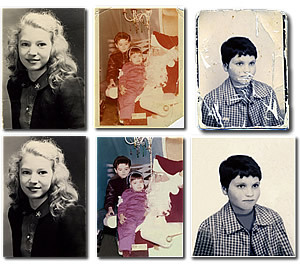 Once the image has been restored, we can produce beautiful framed portraits, design hand crafted albums, or simply supply you with the images on a CD. Please call or email with any questions.